Volkswagen has been fined one billion euros (RM4.7 billion) over diesel emissions from the company’s cars, according to Reuters. The fine was imposed by the public prosecutor’s office in Braunschweig, a city in Lower Saxony, Germany for organisational deficiencies which failed to prevent “impermissible software functions” from being installed in cars between 2007 and 2015, the report said. This follows the country’s recall of 238,000 Daimler vehicles earlier this week as part of a larger, Europe-wide recall of 774,000 vehicles, and the German transport minister also threatened to sue Daimler for 3.75 billion euros should it be found to have used defeat devices in its diesel vehicles. The latest fine imposed on Volkswagen did not address civil claims or claims made by vehicle owners, the prosecutor’s office said in a statement. This however concludes the regulatory offence proceedings against Volkswagen, which the automaker said would help in settling further administrative proceedings against itself in Europe, the report said. 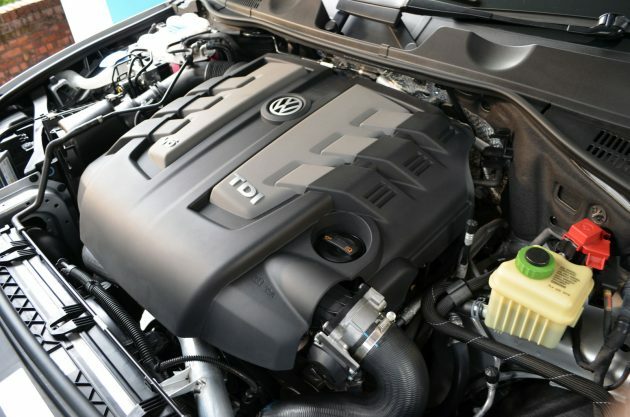 The one billion euro fine was not accounted for in Volkswagen’s 25.8 billion euro provision for Dieselgate-related fines, payouts, fixes and penalties, and would impact upon the Wolfsburg carmaker’s earnings, analysts at Evercore ISI said. Further afield in the greater Volkswagen Group, Porsche recalled 60,000 diesel SUVs last month at the request of German authorities. Though Porsche announced that it accepted full responsibility towards its customers, it added that it “does not develop or manufacture diesel engines itself.” The 4.2 litre V8 and 3.0 litre V6 in the Cayenne and Macan respectively were developed by Audi. Earlier this week, Reuters reported that the Munich public prosecutor’s office had searched the resepctive properties of Audi CEO Rupert Stadler and one other Volkswagen board member. wow! One billion euro extra revenue for the nation of Deutsche land. These monies will trickle back into its society as social benefits for people of Deutsche land soon. Go on to feed and house the 100,000 refugees. Der volks gesichtpalme.